Of course a station wagon is roomy. 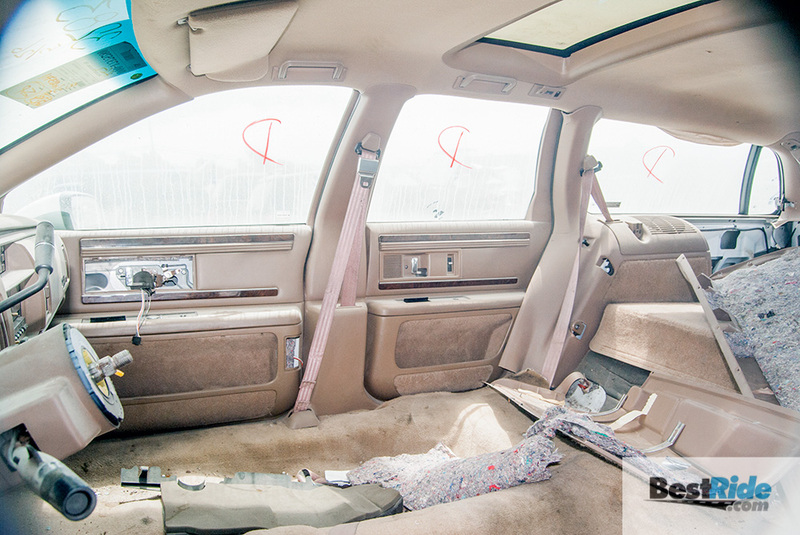 But take out the seats from a last-generation Buick Roadmaster, and a wagon can seem truly cavernous. 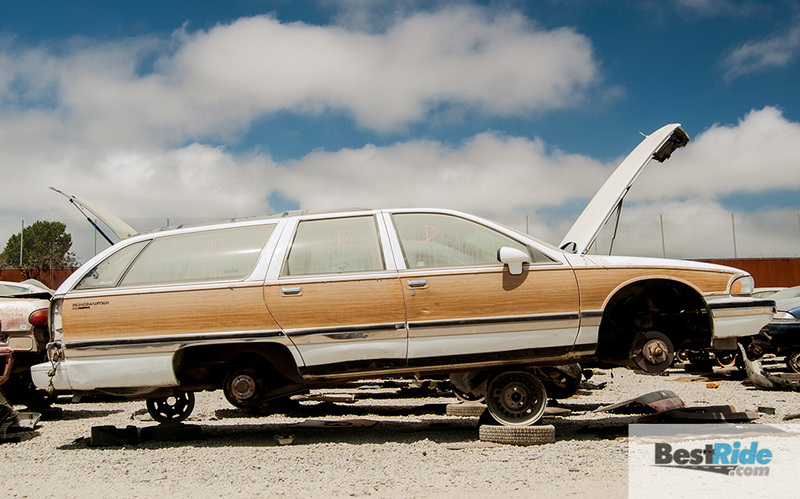 This Roadmaster (nicknamed Roadie) is based on the same General Motors B-body platform that debuted for the 1977 model year. That original version was facelifted for 1980 and then continued until 1990. By then, its boxy body was firmly out of step from the slippery Ford Taurus and Mercury Sable wagons that had exploded into popularity. So when GM redesigned these wagons for 1991, they kept the proven rear-wheel drive chassis but changed the look to match the more aerodynamic models on the roads around it. Ironically, Buick called the updated version Roadmaster, a name that the division first coined back in 1936, rather than continuing to call its big hauler an Estate Wagon. 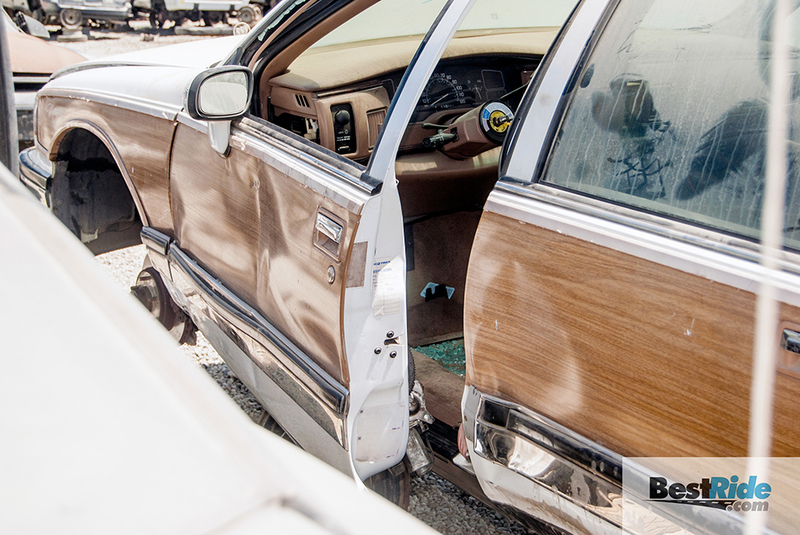 The Roadmaster’s rounded rump eliminated the Estate Wagon’s roll-down rear window. 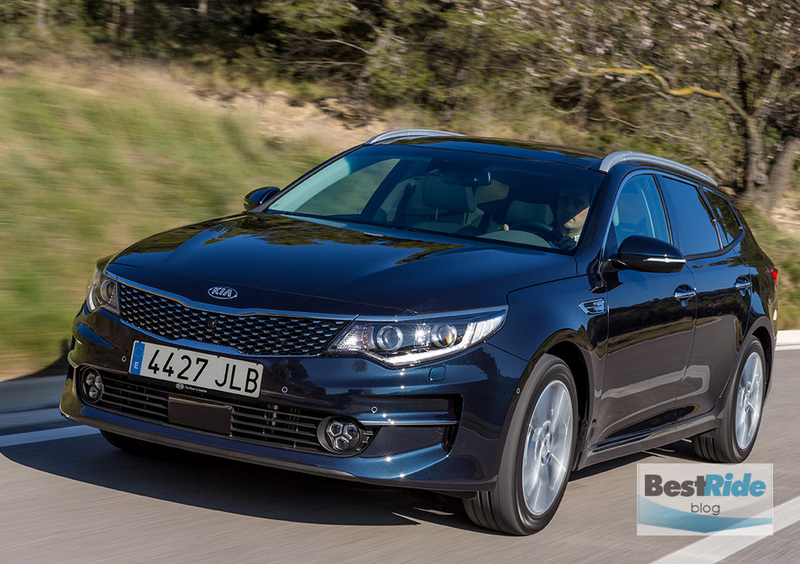 The Estate’s rear was flat enough for the tailgate window to travel almost perfectly vertically down into the door, but the new model’s curves precluded that – it would have to flip up and down instead. Passengers in the third seat could still get some air from the flip-out side windows, which hopefully would not draw in too much exhaust from the pipe directly below. 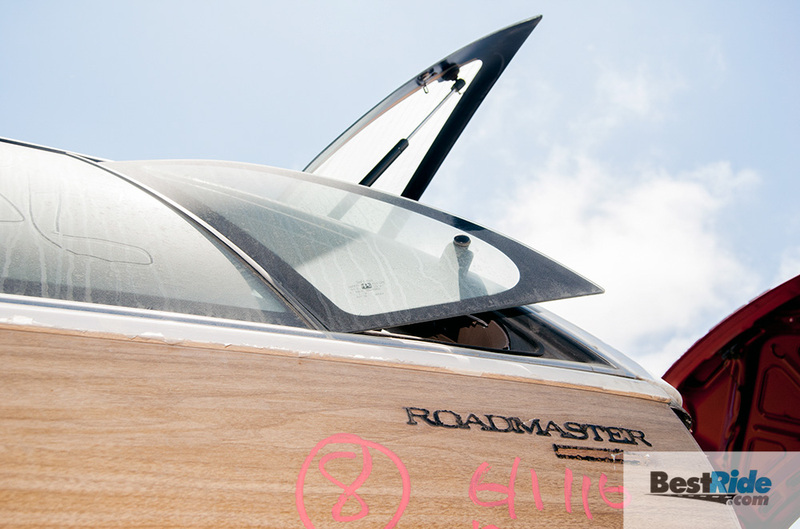 The wrinkles in this Roadmaster’s sheetmetal are likely from it being poked into its junkyard bay. The car has no rust to speak of, so it has likely spent its life in California. Shame to waste a car with such solid bones. 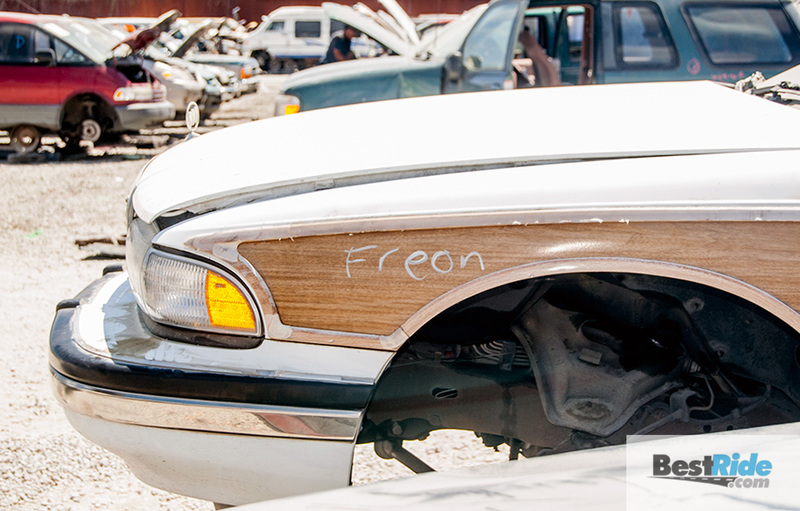 The “Freon” marking likely means that this Roadmaster was never converted to a more environmentally-friendly refrigerant for its air conditioner. Broken A/C isn’t such a big deal in the temperate Bay Area, so the owner might have just switched to driving with the windows down when the coolant ran out. 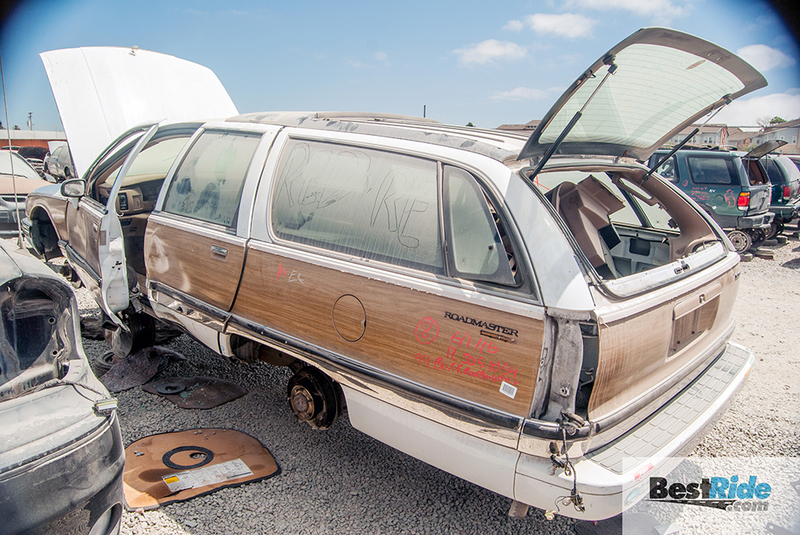 As with most junkyard cars, this Roadmaster showed some DIY derring-do. 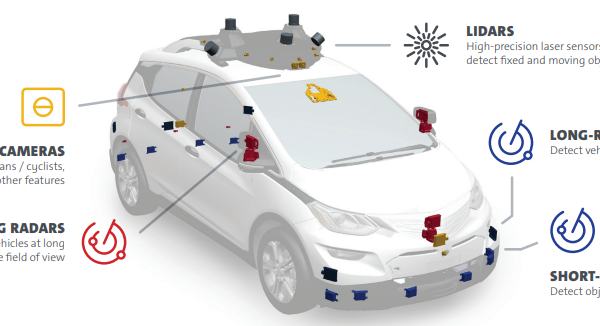 It’s the interior where the smoother exterior shape yields its greatest benefit. The egg-like outside contours open up a world of space inside, and this is made more apparent here by the seats being removed. It’s glassiness and elbow room for days in there. The perception of expanded interior width is enhanced by the extreme tumblehome, a term for the curviness of the side glass. Where the previous boxy wagon had the windows rolling nearly vertically up and down, same as the tailgate, the side windows on the Roadmaster curved all way out to being nearly flush with the side sheetmetal. It’s a cleaner style, and the benefits for the feeling of spaciousness are clear. 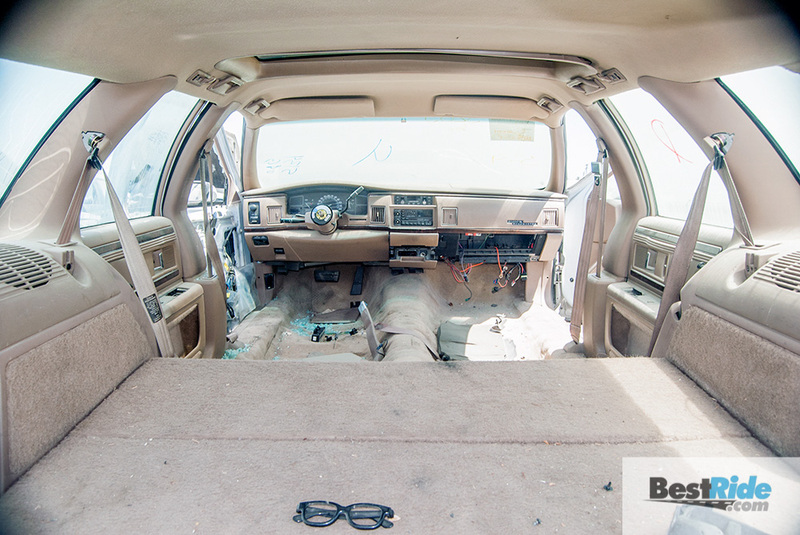 Again, note this Roadmaster’s relatively good condition, with few marks on the cargo area plastic and a presentable headliner. 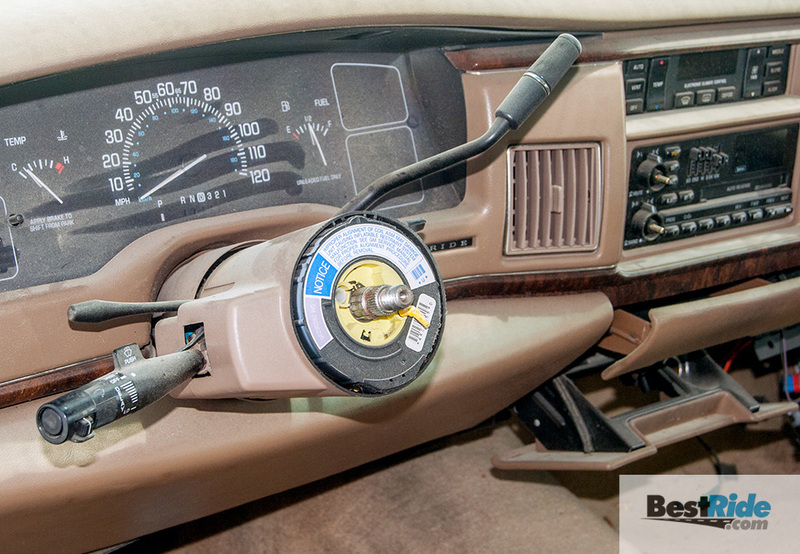 Looks like someone wanted the airbag-equipped steering wheel, though a commenter shared that the Delco stereo head unit might be worth some money as well. 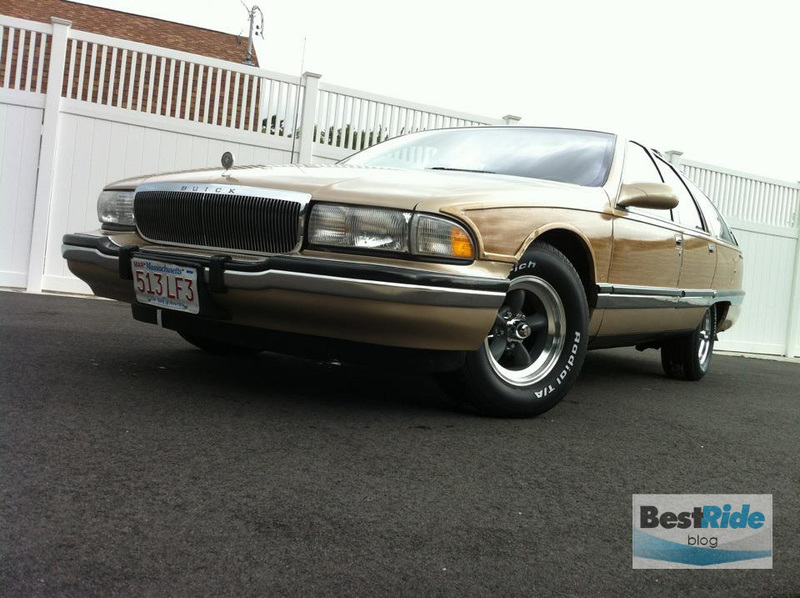 Model year 1996 was the Roadmaster’s last. 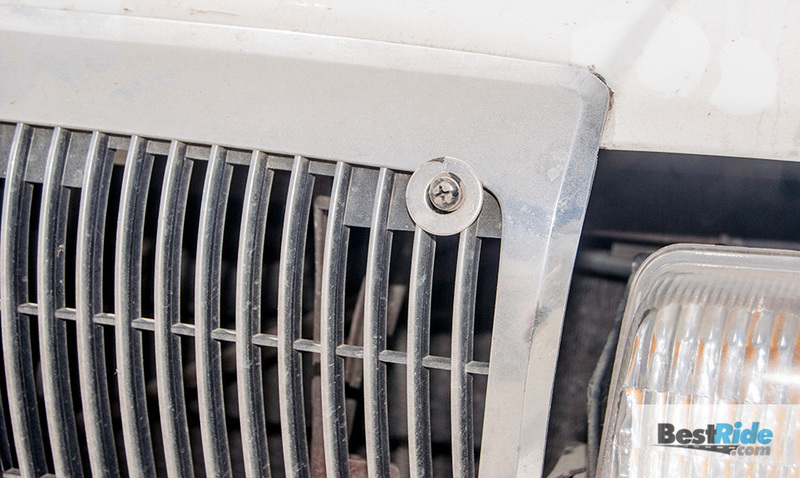 Buyers had long since moved to SUVs, and the factory that produced Roadies switched to trucks. Ed. 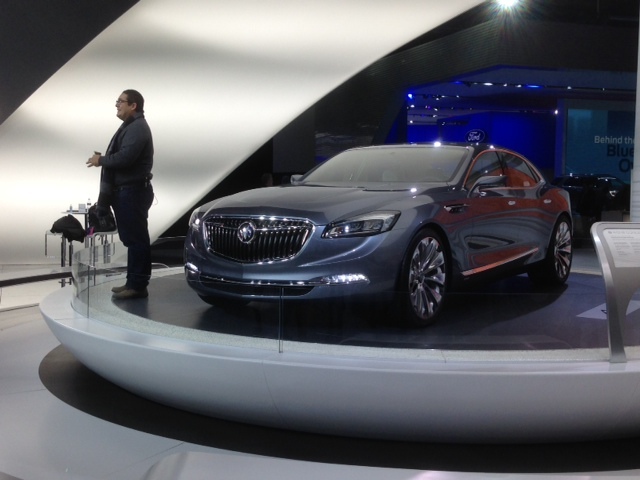 note: I own the 1996 Buick Roadmaster in the photo below. I bought it locally via eBay four years ago. That time is indicative of the hold it has over me. I haven’t owned a car for more than three years in decades. It has served a few purposes for me: First off, I’d love to be driving a 1960s-era wagon, but I live in New England and I’d ruin a car like that if I ran it all year. Second, I have two kids, and I need something to cart them around that has shoulder belts in the rear, which lets out the boxy 1977 to 1989-era GM wagons. Finally, I can lay the seats down and put a 4×8 sheet of plywood inside it when I need to. It hasn’t been perfect. I’ve done a lot of work to the cooling system to cure frequent overheating. I’m also fighting with the air conditioning at the moment. After a ton of work last year, it blows hot air this summer. And then there’s the rust. I never anticipated that a car from the 1990s would rust this badly, but winter has taken its toll. The rear quarters are shot, the spare tire well is rusted out, the inner fenders don’t look much better than my 1979 Blazer did, and the passenger floor has just about had it. But through all that, the reason I kept it is because it works so well. My kids love it. Every year, my daughter crams it full of her best pals for her birthday, and they fight over who gets to ride in the way back. Recently, I hauled 25 bags of crushed stone from Lowe’s in the back and the self-leveling suspension worked just the way it was supposed to. Every time I consider moving it down the road, I think of all the great times we’ve had with it, and I drag my feet. This might be the year it finally goes, but I’ll probably change my mind six time before it happens. 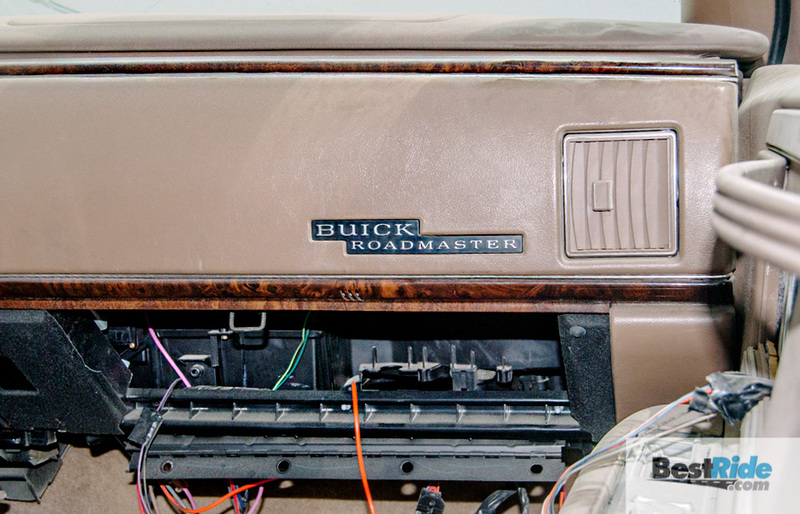 Find your own Buick Roadmaster with BestRide’s local search.